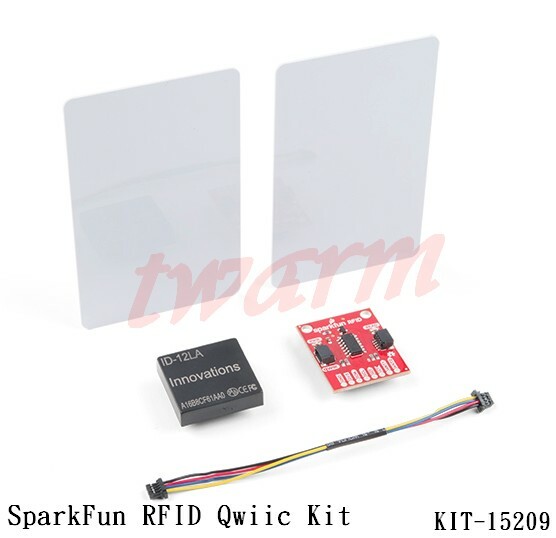 The SparkFun RFID Qwiic Kit is a simple, yet all-in-one I2C based RFID starting point for the ID-3LA, ID-12LA, and ID-20LA readers. 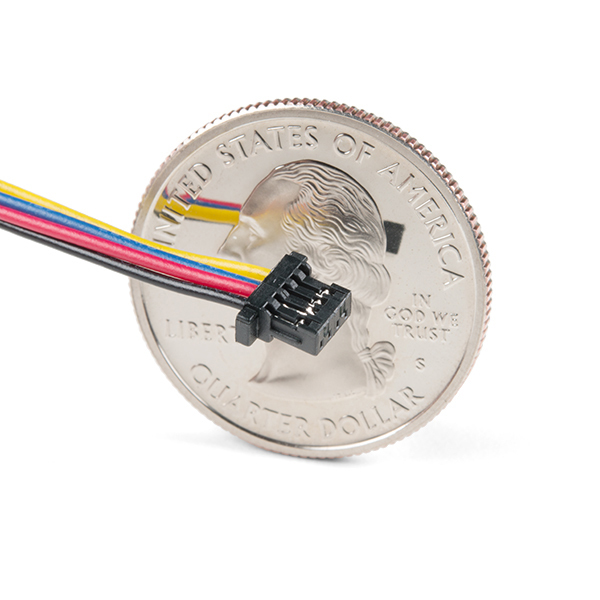 Simply plug a reader into the headers and use a Qwiic cable to connect to any Qwiic enabled development board, then scan your 125kHz ID tag and the unique 32-bit ID will be shown on the screen. 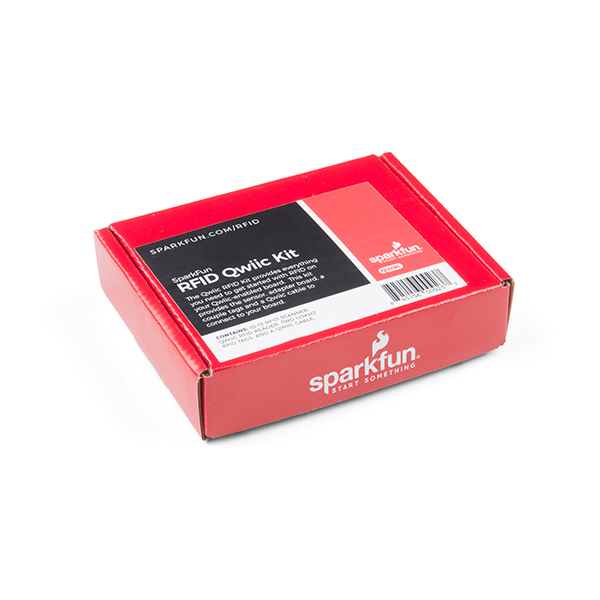 This kit comes with everything you need to get started. 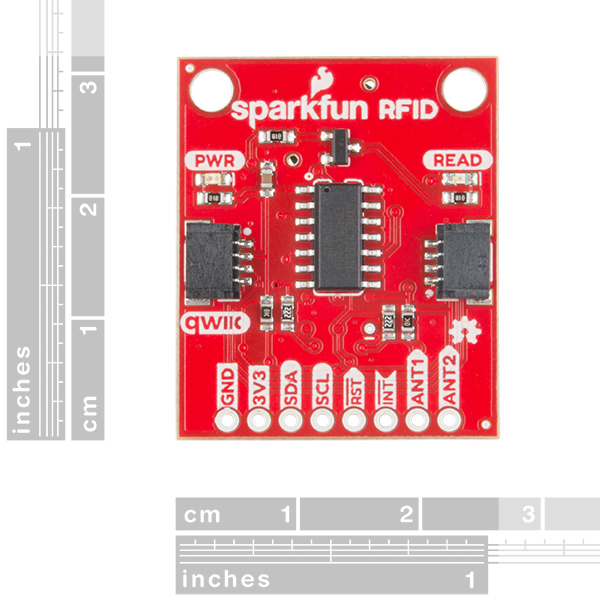 The SparkFun RFID Qwiic Reader, an ID-12LA reader, a couple of RFID cards, and a cable to get you hooked up. 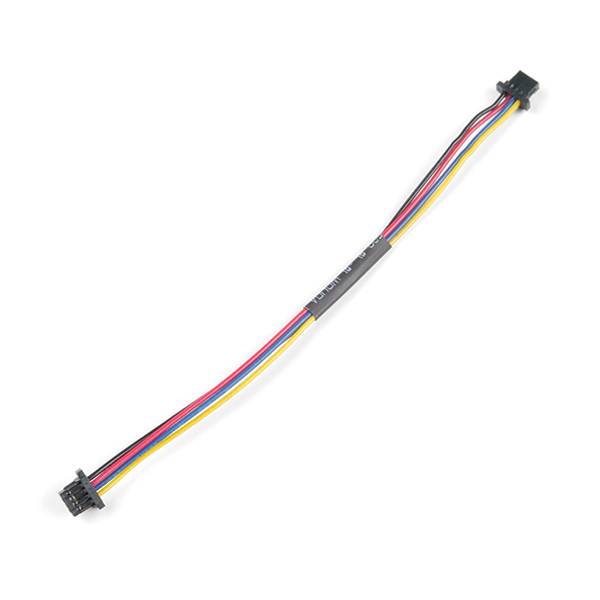 Just plug this into any Qwiic enabled development board and you are good to go. 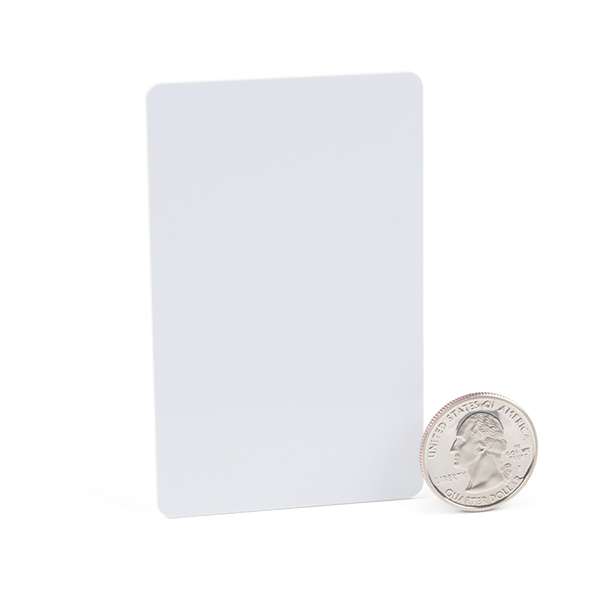 Utilizing the onboard ATtiny84A, the Qwiic RFID takes the six byte ID tag of your 125kHz RFID card, attaches a time stamp to it, and puts it onto a stack that holds up to 20 unique RFID scans at a time. 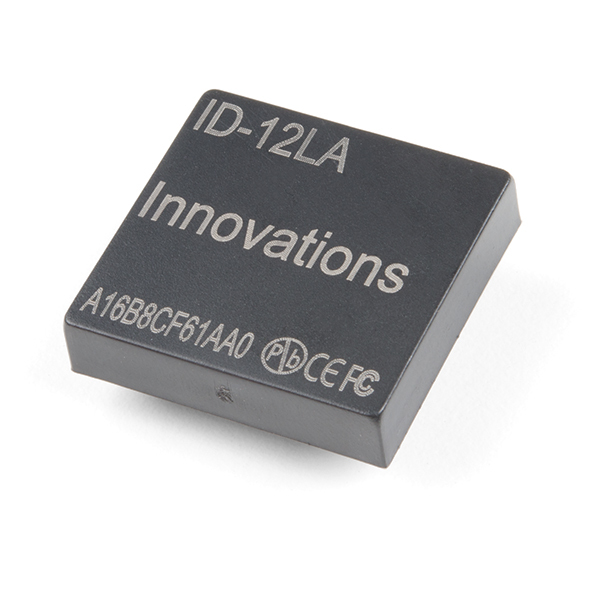 This information is easy to get at with some simple I2C commands. 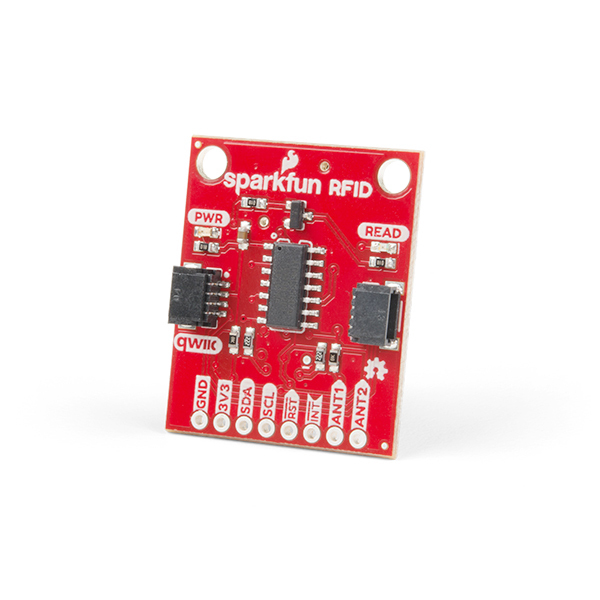 The unit comes with a read LED and buzzer, but don't worry, there is a jumper you can cut to disable the buzzer if you want.